The race is still on for 4G, or fourth-generation, cell phones and service, but the contest for speed may not be decided this year because of the economy, as well as wireless carriers continuing to build out and improve 3G networks. Relatively recent smartphones, such as the BlackBerry Bold and Apple’s iPhone 3G, use third-generation networks for faster Web browsing and e-mail. The three largest carriers in the United States, Verizon Wireless, AT&T and Sprint, have 3G networks in place. The fourth largest, T-Mobile, is still completing its 3G network. Many mobile users in the United States still rely on 2.5G devices, and are just starting to make the move to 3G. Meanwhile, wireless carriers need to continue improving and expanding 3G networks, as well as plan for the future. 3G’s data transmission speeds are between 600 kilobits and 1.4 megabits per second, fast enough to move from Web site to Web site, or send an e-mail, within seconds. In contrast, 4G speeds start at 2 megabits per second and can reach 10 times that speed and higher. 4G means a fatter data pipe of sorts, which translates to smoother and faster downloading or sharing of large files, such as movies or music. Two leading 4G technologies, WiMax and LTE, continue to vie for favor in the United States. LTE, which stands for Long Term Evolution, is a standard endorsed by AT&T and T-Mobile as well as Verizon Wireless, which may begin LTE trials late this year. Sprint has backed WiMax, offered by Washington-based Clearwire. So far, Clearwire’s WiMax service is available in Baltimore, where it launched last fall, and in Portland, Ore., where it started this month. There are no WiMax handsets, but there are WiMax modems, PC cards and USB dongles that offer high-speed wireless Internet access from laptops. Sprint recently started selling what it calls “the first 3G/4G” USB modem for mobile broadband. A WiMax signal has a range of about six miles, in contrast to Wi-Fi, which covers about 150 feet indoors, and 300 feet outdoors. Because of that limitation, WiMax is considered a good choice for those who don’t roam too far from their personal 24/7 base station — home, or even the office. Clearwire’s “Clear” service plans start at $20 a month for home Internet users, and $30 for mobile Internet users. When will there be WiMax cell phones? A dual-standard chip is one that could work with WiMax and either GSM or CDMA phone networks, he said. “HTC has a dual-standard handset, being used in Russia, and we’re in discussion with others about dual-standard phones,” he said. WiMax for laptops, on the other hand, is proliferating, with more than 40 different laptops on the market by the end of this month, West said. Toshiba, Acer and Asus are among the companies making such laptops using an Intel chip that supports both Wi-Fi and WiMax. Putting WiMax in notebooks makes sense financially, "so that’s clearly" the best course to follow right now for the 4G technology, said Avi Greengart, Current Analysis’ research director for mobile devices. Nokia, the world’s No. 1 mobile phone manufacturer, surprised some recently with its announcement that it would no longer make the N810 WiMax Edition tablet, which became available only last spring. 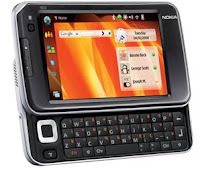 A Nokia spokesman said the device had “reached the end of its lifecycle,” but said the company is not ruling out making WiMax devices in the future. The competition between LTE and WiMax is intense, with advocates on each side. Many consider LTE a better fit for wireless carriers, in terms of the amount of network “backhaul” that will be needed to put 4G in place. It will be no small task, requiring a huge financial investment in testing and equipment. Japan’s top mobile carrier, NTT DoCoMo is likely to deploy LTE this year, ABI Research noted in a recent report. West, of Clearwire and formerly Sprint’s chief technology officer, said he doesn’t think 4G is “an either or” situation.